Serbian National Team suffered a bad loss from Team Denmark in Italy, at the EC (B-Group) - 38:10. Most of the fans back home are blaming the center, QB, and the fact that the coaching staff decided not to bring a kicker. Lance Kriesien talks about the whole situation. You can't commit 9 turnovers and expect to win. It's that simple. We didn't show up mentally prepared until it was too late. Defensively, guys played with extreme passion. The final score doesn't show how well defense played. We didn't execute on special teams, and on offense, we didn't show up mentally until the second half. We did move the ball but we couldn't score, we didn't take advantage of opportunities and we turned the ball over. The box score tells the story of the game, about how both defenses played well, and then you'll see the offensive struggles on both sides. Denmark was 4-18 on third down. Serbia definitely didn't score offensively, however we were able to move the ball, and get as many 1st downs as Denmark. Our biggest issue was coming to a situation where our QB-C exchange wasn't happening. That's fundamentals of football. Even though it's the most important part of the play, it's something that any coach will forget and take advantage of. Somewhere down the line we got too comfortable expecting those snaps between the C and QB, and for whatever reason, it just didn't happen. It ended up costing us points and field positions. Other than that, our passing game was efficient enough to move the chains. At the end of the day, our WRs needed to make the plays down the field - whenever we went deep, we didn't come up with the ball. Our offensive line was definitely the highlight, protection was great. Our QB should get rid of the ball on time. If you look at what happened offensively - it wasn't anyone's thing. Guys knew their assignments, it seemed as if they were prepared. I'll credit Denmark for playing solid defense and making it look difficult for us. But, we definitely gave effort, and we competed. Situation was frustrating, but, there was no quitting. We went out there, we fought, but we just didn't get it in the endzone. Our defense is showing that they're physical, they can create turnovers and they can stop you. We will see what our mistakes are, and prepare for Czech Republic. Most was wondering why we didn't bring a kicker. We did, just his primary position is not kicking the ball. 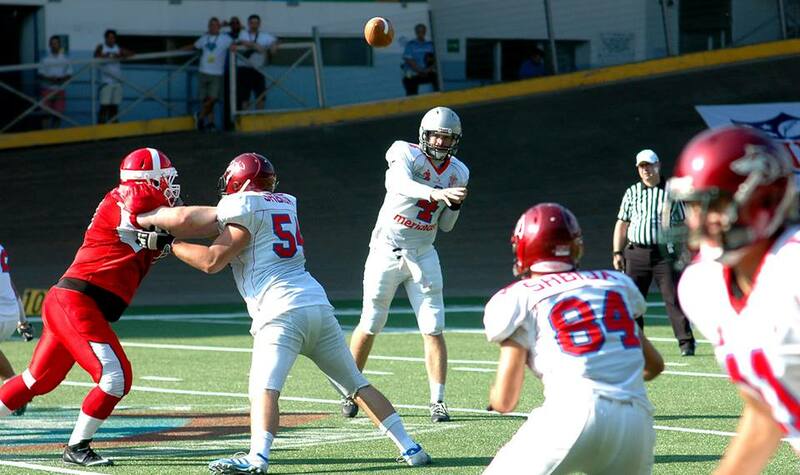 Everyone who was at the camp could see that the guy we have with us in Italy executed as well as the kickers. When it comes down to making the roster - we decided to bring the RB who can also kick the ball, since he can help the team on more than one position. Right now - Serbia is where it belongs - in the B-group. Competition in C-group is too low, and here, we're among well coached teams who played football years before Serbia started.